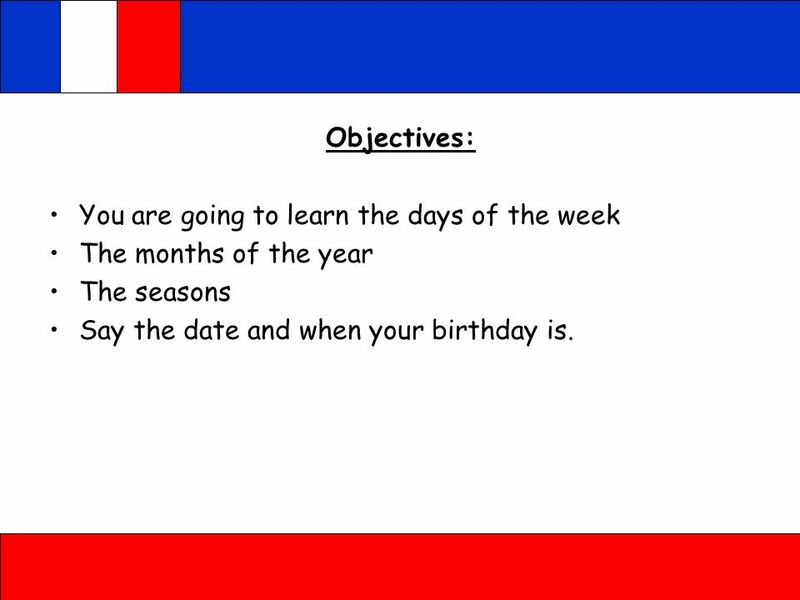 1 Objectives: You are going to learn the days of the week The months of the year The seasons Say the date and when your birthday is. 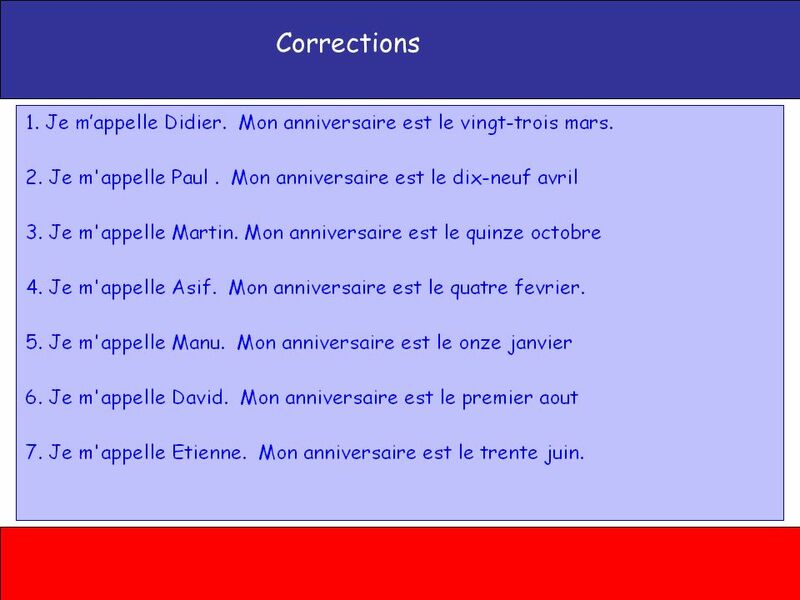 14 C’est quand ton anniversaire? 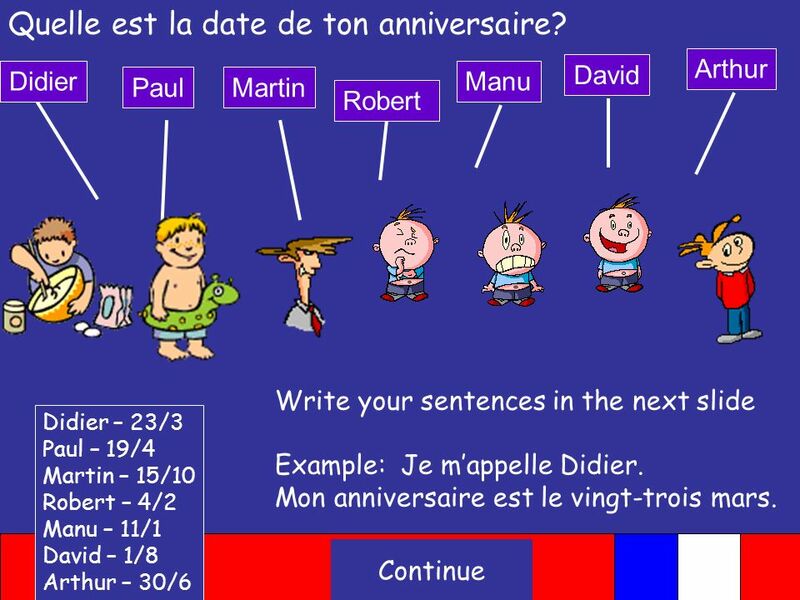 15 Quelle est la date de ton anniversaire? 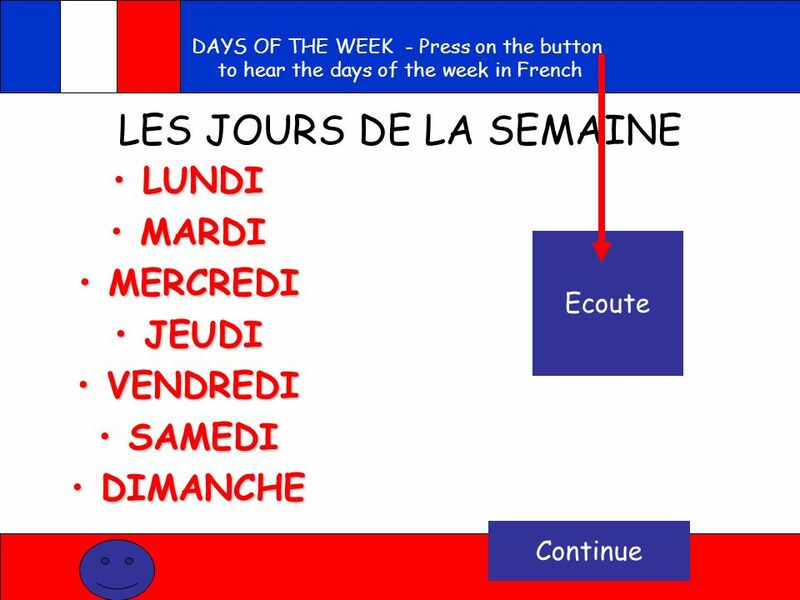 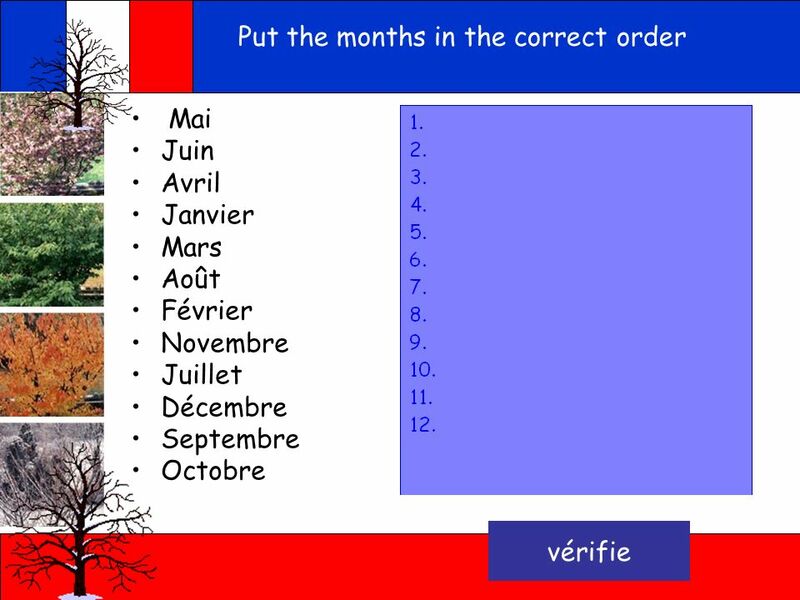 Télécharger ppt "Objectives: You are going to learn the days of the week"
French 1 Chapter 5 Review verbs, Seasons, Months, Weather, and Faire. 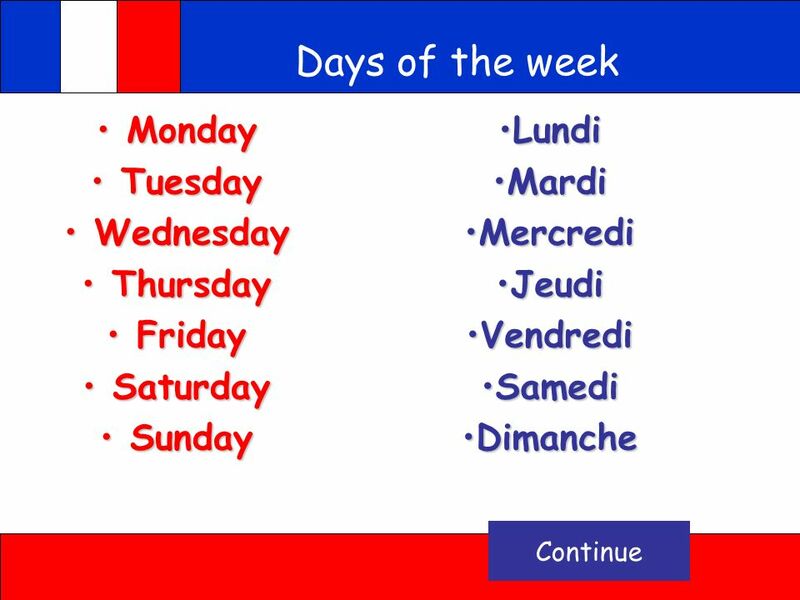 Exercice #14 Unscramble the days of the week: unidl ardim reidremc uejid neverdid aidmes dicheman. 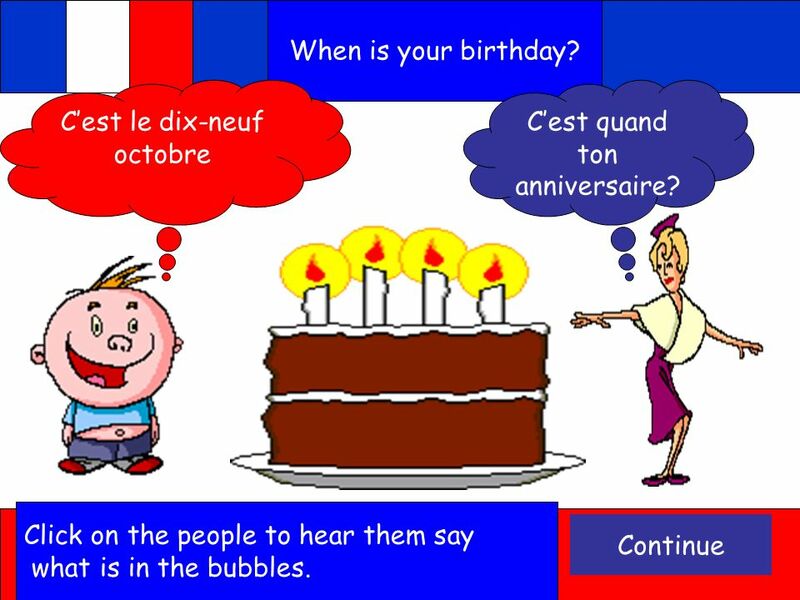 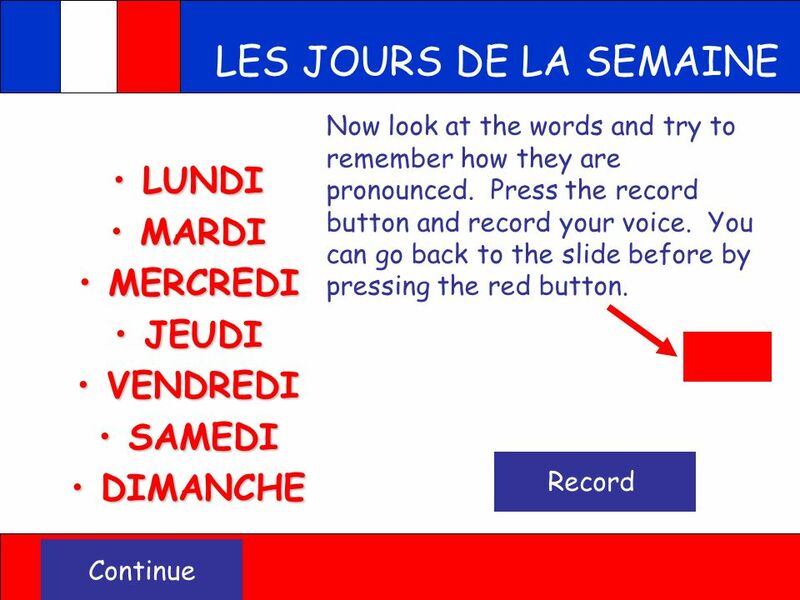 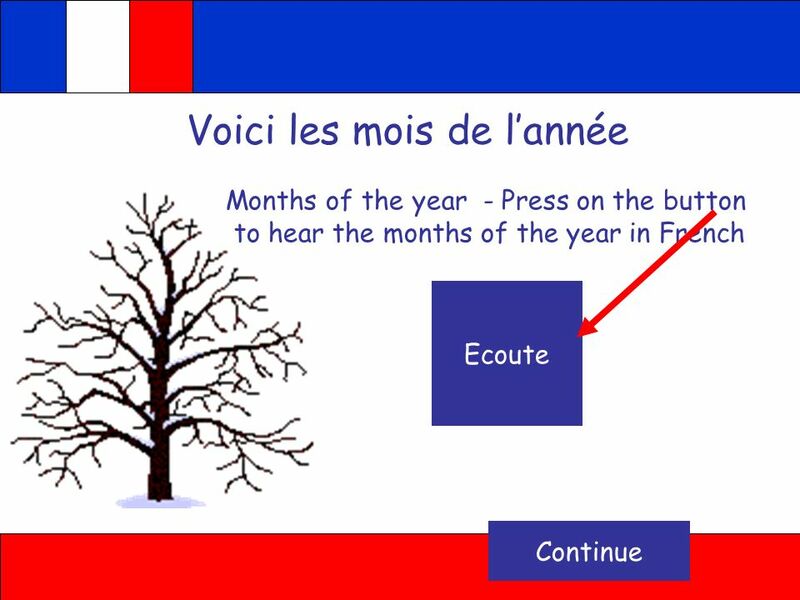 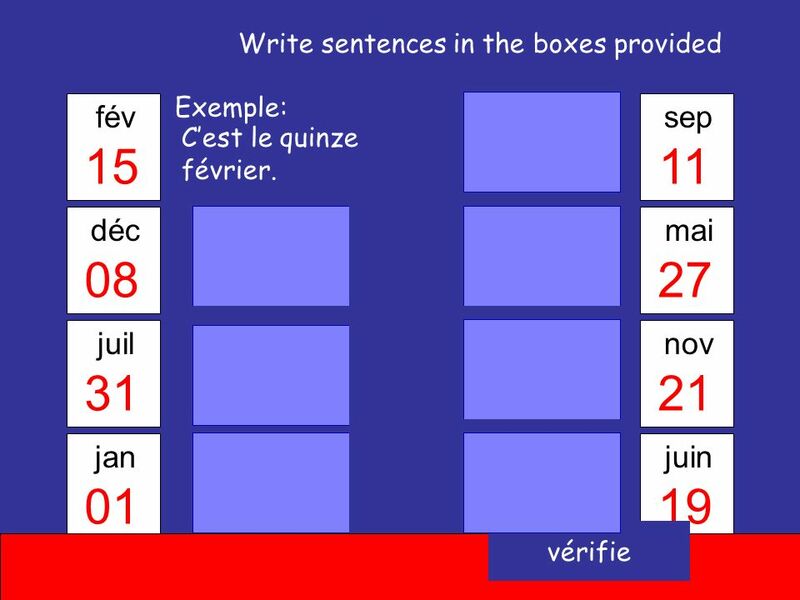 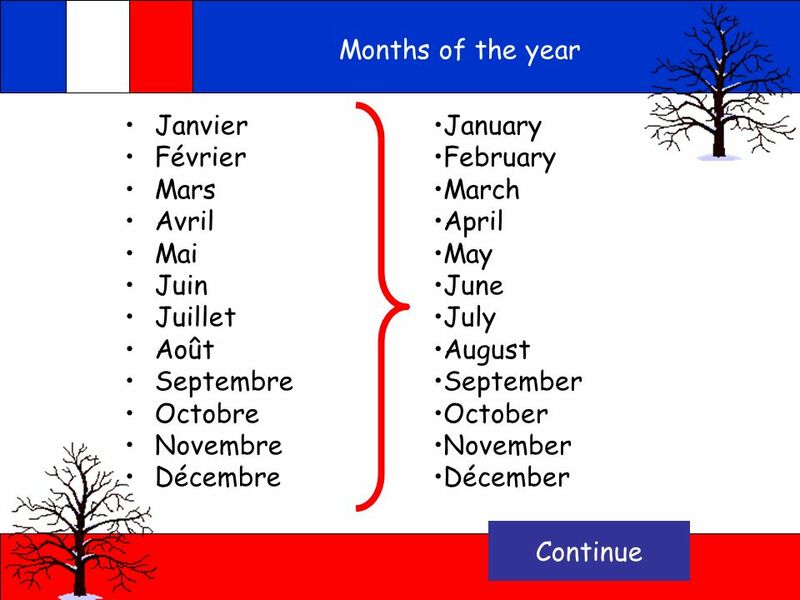 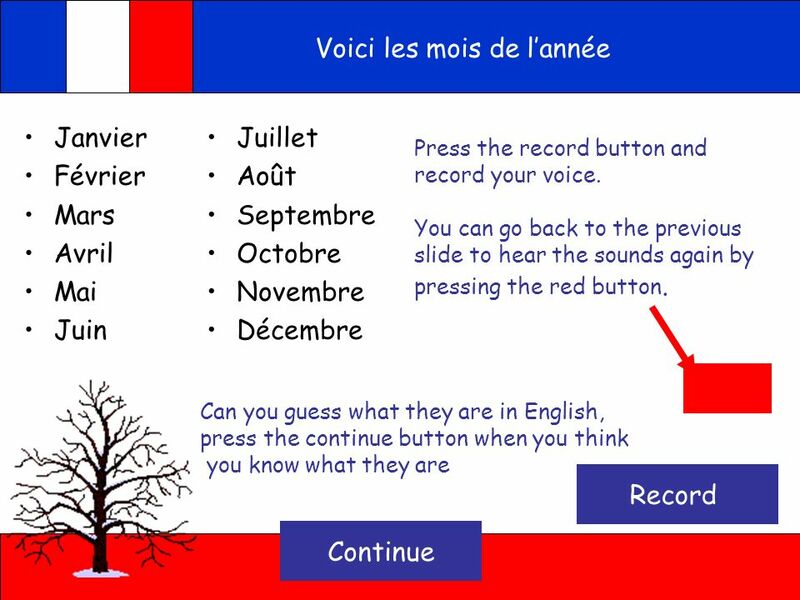 French This presentation has been made to help Year 7s with their French It has been made by Sameer Agrawal and Oliver Coates Now Get Learning Please. 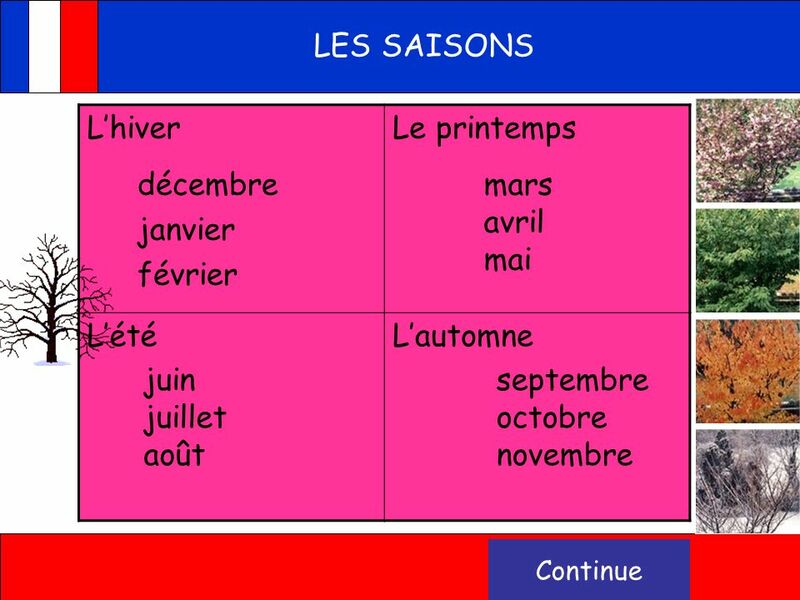 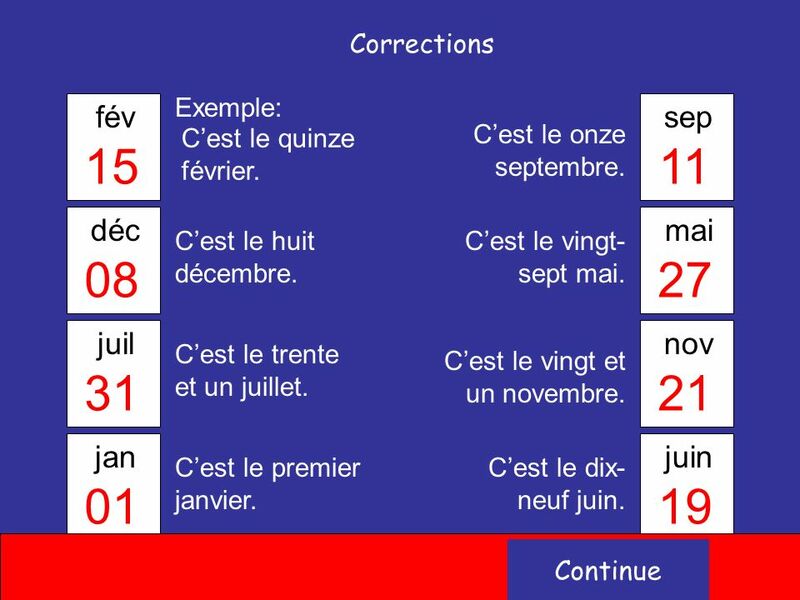 Mon émission préférée Lesson Objectives: In this lesson you will learn how to say what time your favourite programme is on, and on which channel.